For showrooms, sales reps, buyers and retail stores. Present your product lines in a faster, more accurate, interactive cool way. 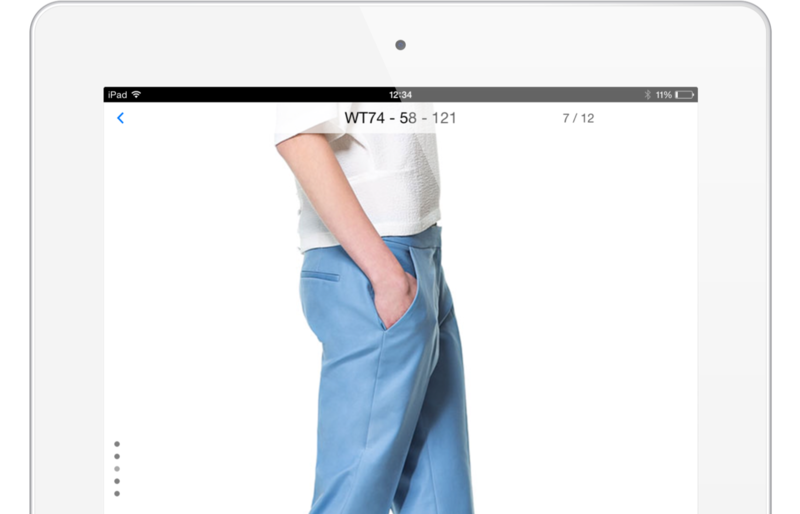 Linesheet, color choices, lookbook, price lists, catwalk videos and multimedia. Everything is just a touch away. 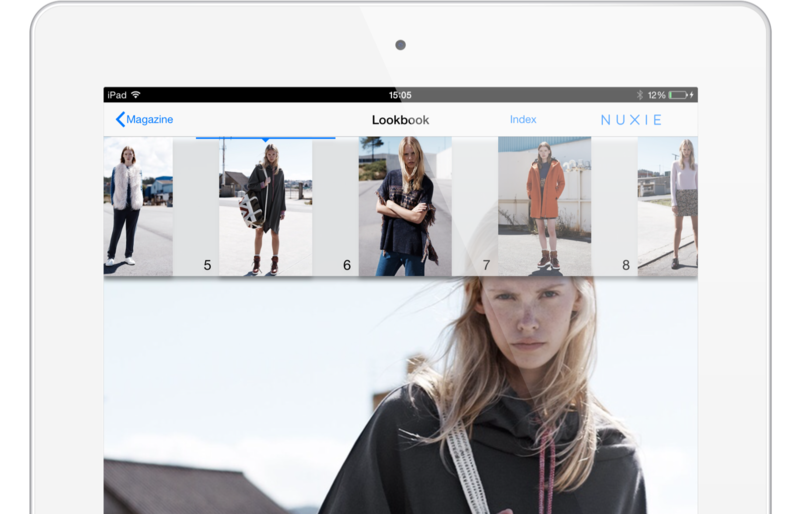 Multiple product views with hi-res zoom. Never write another order by hand. Orders can be taken during trade shows, in showrooms, in shops, in your car. Everywhere. Share products, presentations, wishlist and orders with your customers, on the fly. Spend your time selling, not wasting it. Browse, order or send proposals in minutes. Browse your products by season, delivery, division, category, color, availability. 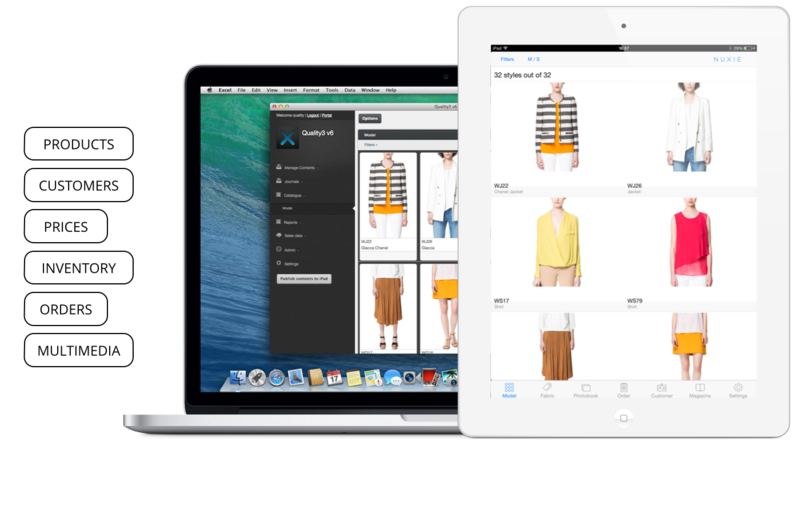 Manage huge orders with smart tools: order templates, product bundles, quantity preset. Place single-door and multi-doors orders. convert into an order fast. Train your sales staff. Create and distribute interactive brand guidelines in just a few minutes. Get your customers’ attention suggesting mix & match options. Reduce missed sales. Check the availability of products in realtime, without the customer having to wait. looks, press clippings and videos. they need working in the store. 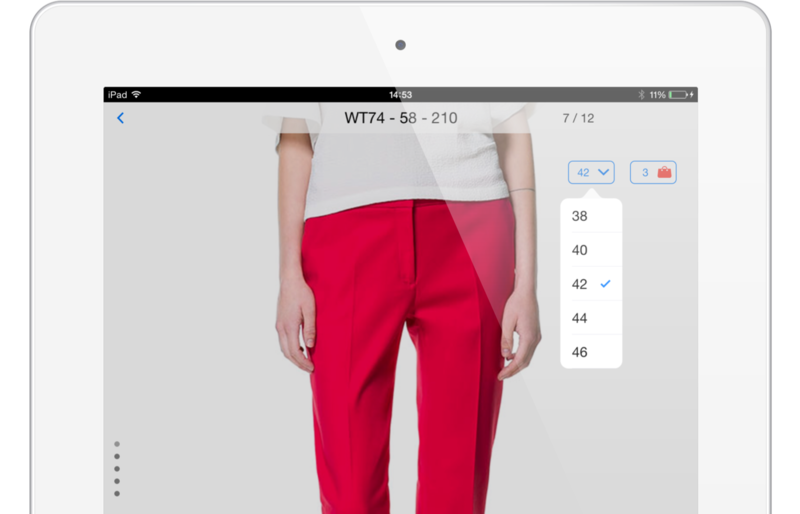 Create shoppable catalogues in a few minutes and keep your sales force up to date. Upload your entire collection (Product masterdata, customer list, prices, images) in bulk or with drag & drop interface. 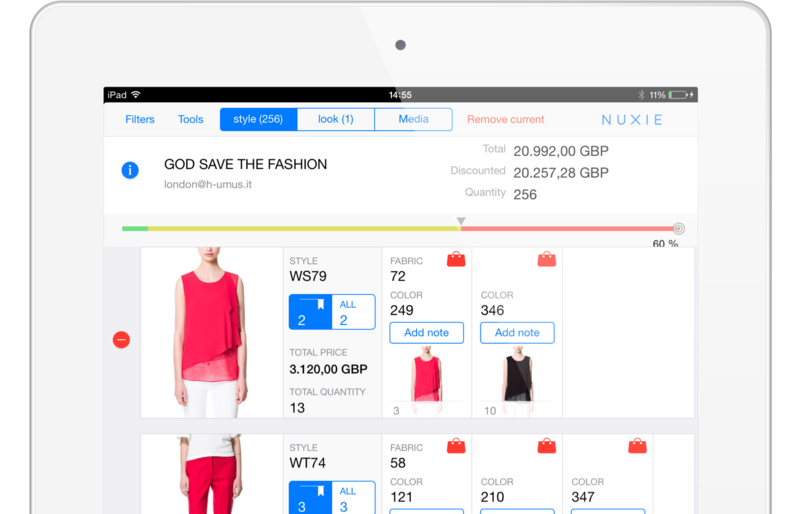 Orders created on Nuxie are automatically imported back to your back-office system via API or flat file. bulk uploads of data, images and multimedia assets. Send and receive flat file via FTP automation or API.